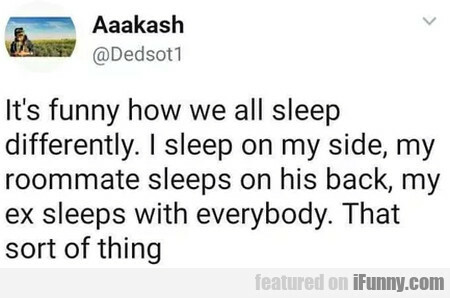 It's Funny How We All Sleep Differently. I Sleep.. When A Guy Is Forever Alone. At Work - Girl Starts Crying And Having A Mental..